As one of the oldest beverages known to man, there are so many different interesting facts about wine. Some, especially those about the positive health benefits of wine, are pretty well known by the wine drinking public. 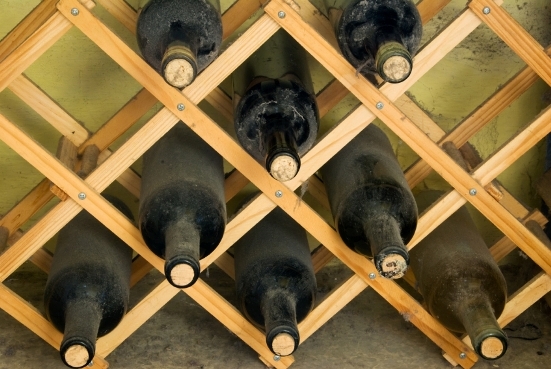 Here, you will find some of the lesser known, but no less interesting, facts about wine. Wine is almost guilt free, as it contains no fat and zero cholesterol. When Hippocrates wrote out what would be modern day prescriptions (those that have been found and recorded), almost all of his "prescriptions" included wine as a cure for what ailed his patients. Researchers believe that global warming will have a hugely negative impact on winemaking as the warming of the earth dramatically effects how and where grapes are grown and whether they can be successfully harvested. Women metabolize wine more quickly than men due to the physiological make up of their stomach linings. Both men and women have enzymes in their stomachs that work to break down and digest wine, women just happen to have less of this enzyme. It is believed that the Shiraz grape found it's origins in Iran, a Muslim country that does not drink wine. Wine was banned in most all Muslim countries about 10 years after the death of the Prophet Mohammed, whose passing is widely believed to be around 632 A.D.
You would have to drink 20 glasses of apple juice to receive the same anti-oxidant benefits of one glass of red wine. If you prefer orange juice, you'll need to down seven glasses. Wine has so many organic compounds that it's structural make up is considered more complex than that of blood serum. Blood serum is the liquid left over when the fibrinogen and red and white blood cells have been removed. Wine bottles that feature animals on the label are affectionately referred to as "critter wines." The Titanic wreckage contains what is considered one of oldest known wine cellars. Even though the Titanic sits at around 12,000 to 13,000 feet below the ocean's surface, most of the wine bottles in the cellar were found to be intact. Finally, this last interesting facts about wine isn't a fact at all, it's a quote from Benjamin Franklin who said Wine makes daily life easy, less hurried, with fewer tensions and more tolerance.